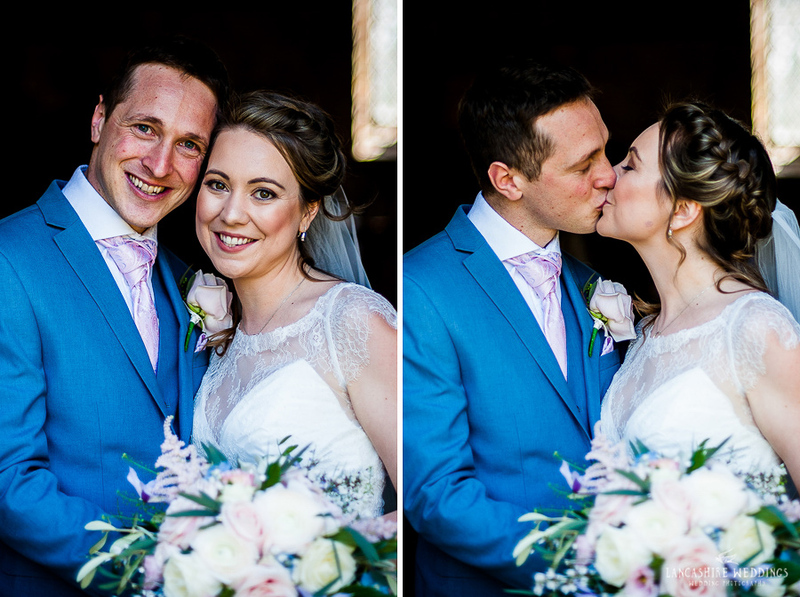 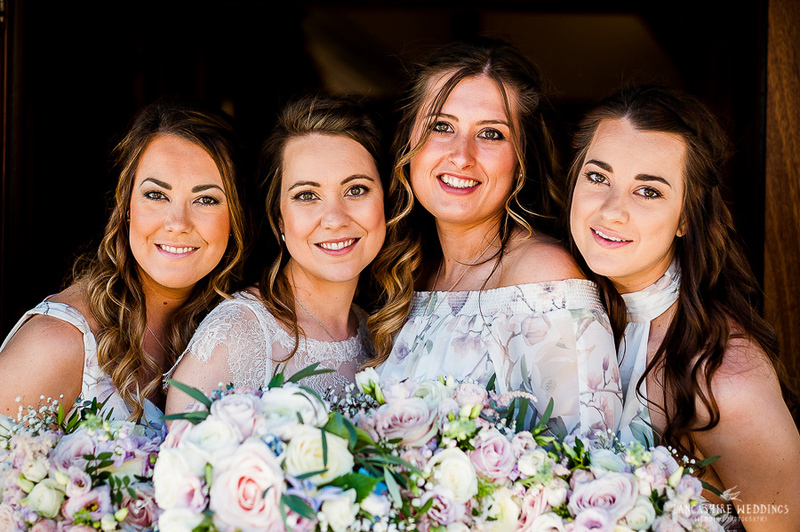 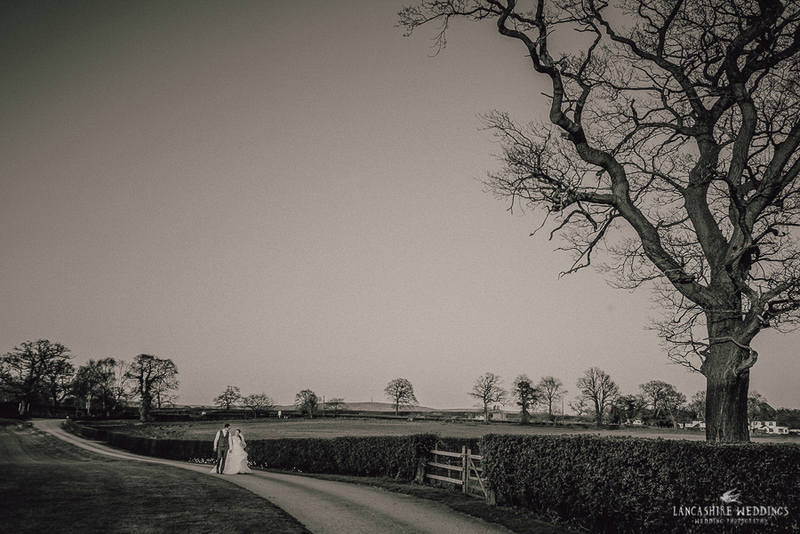 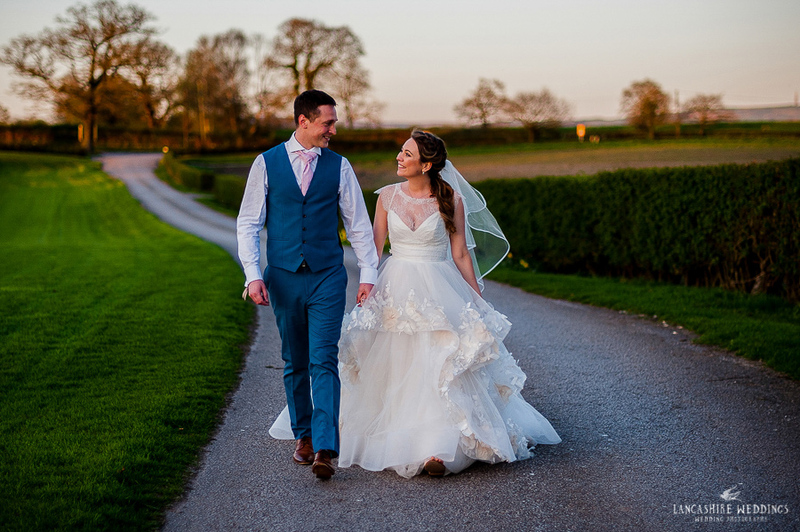 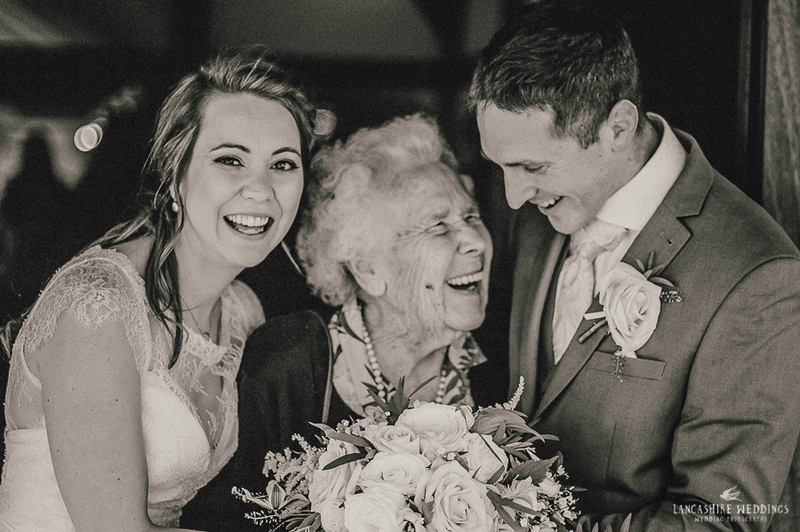 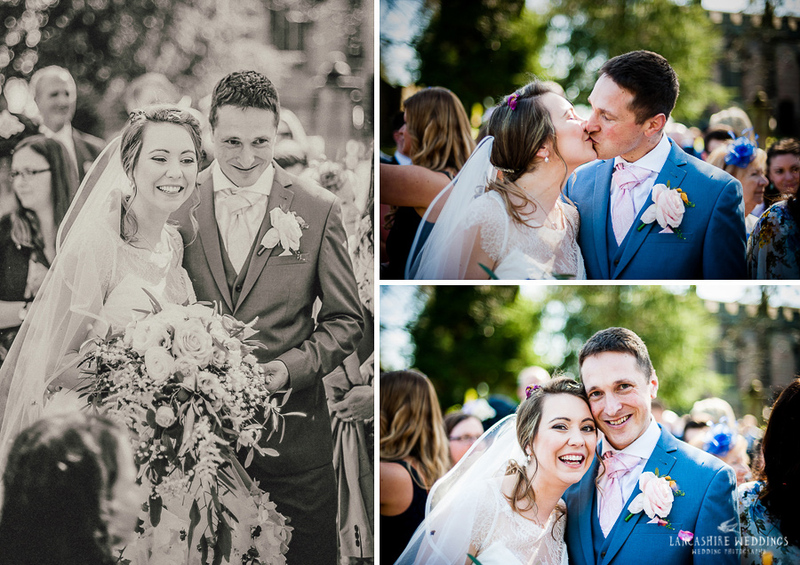 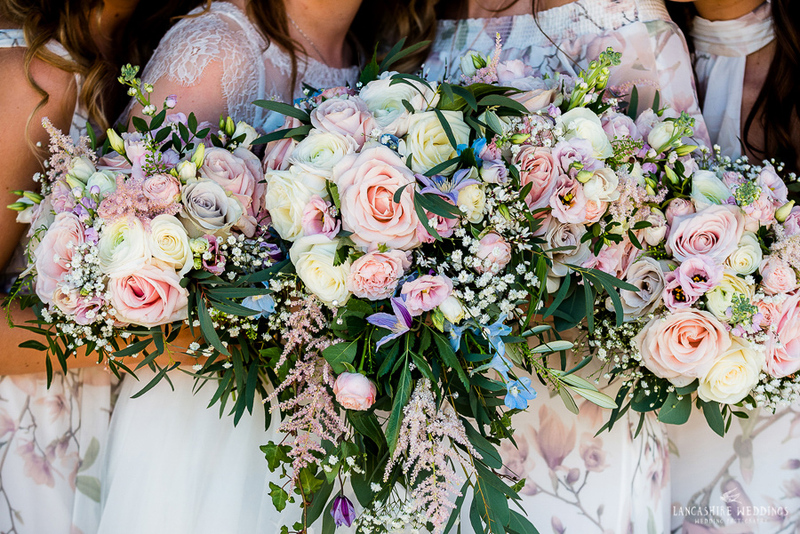 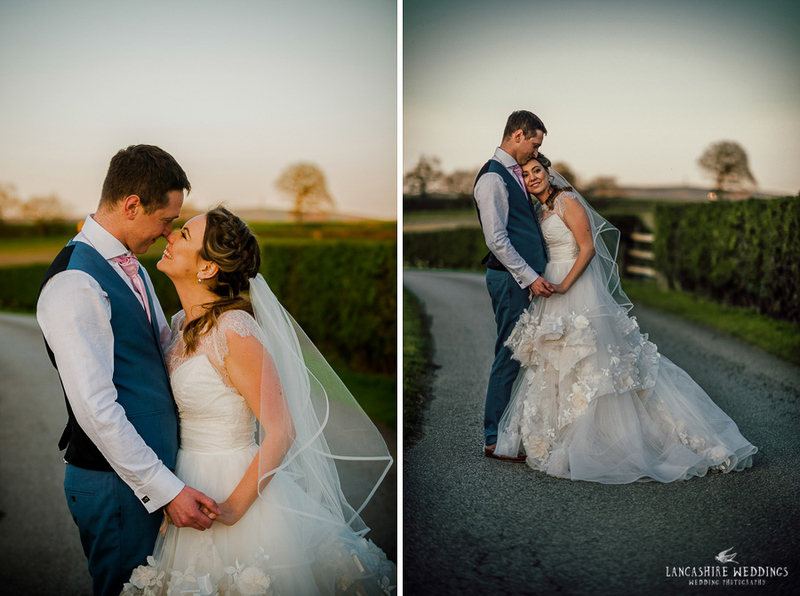 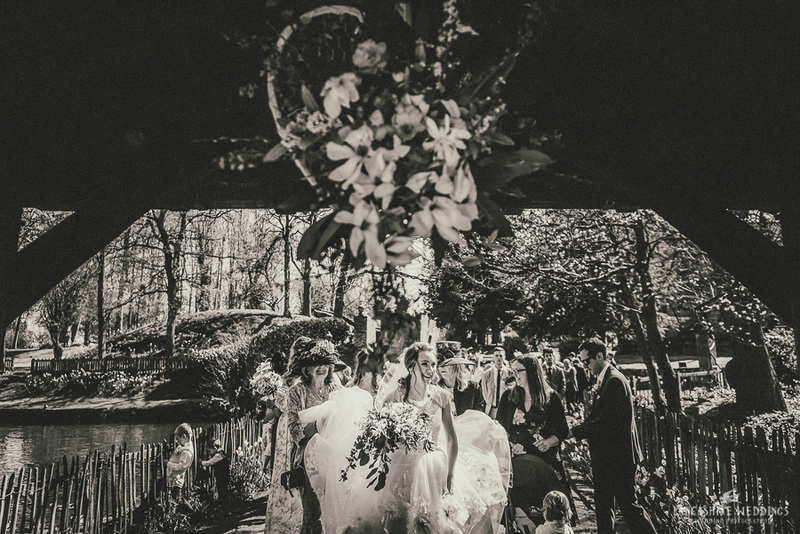 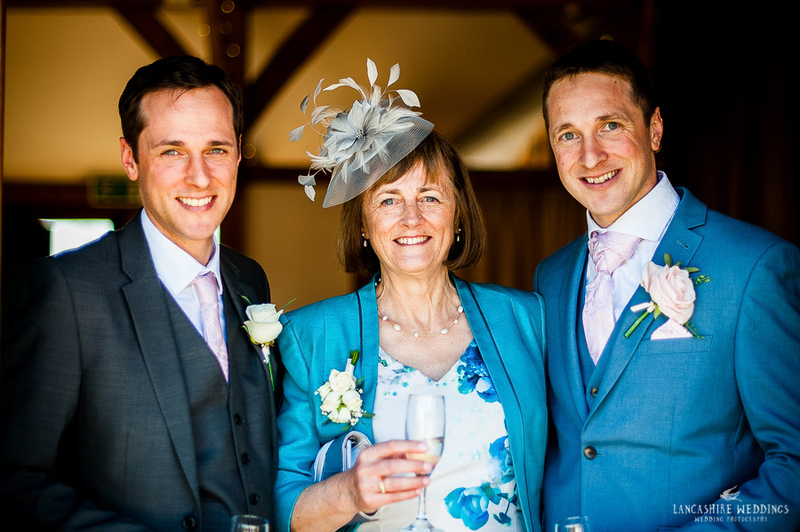 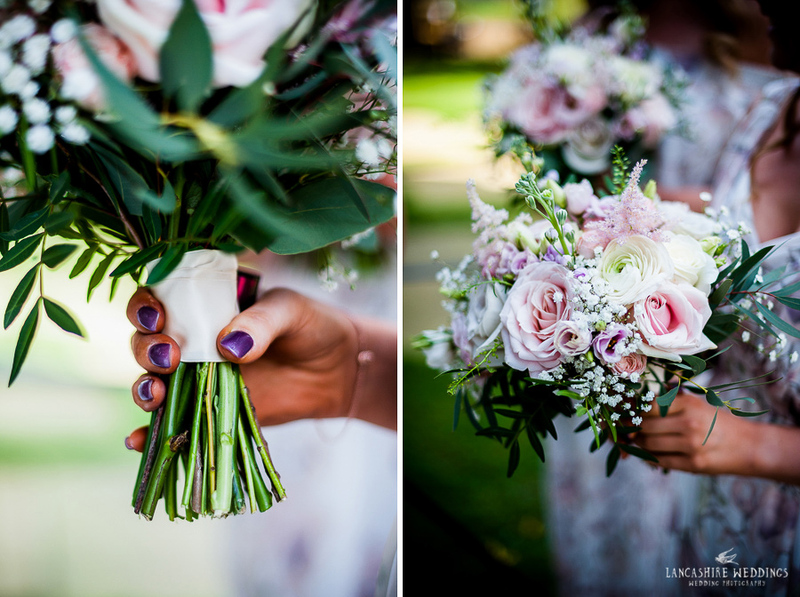 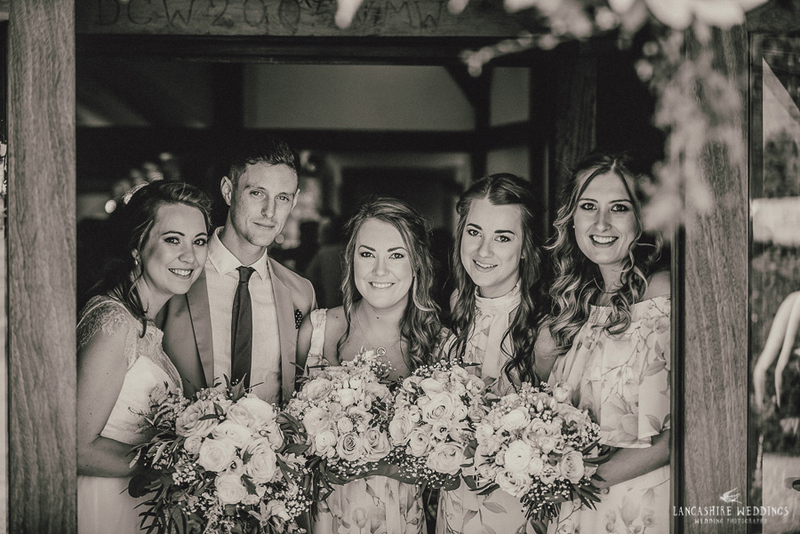 Weddings at Sandhole Oak Barn are always special occasions, but it really did feel like summer had arrived for Sarah and Stuarts wedding in the beautiful Cheshire countryside. 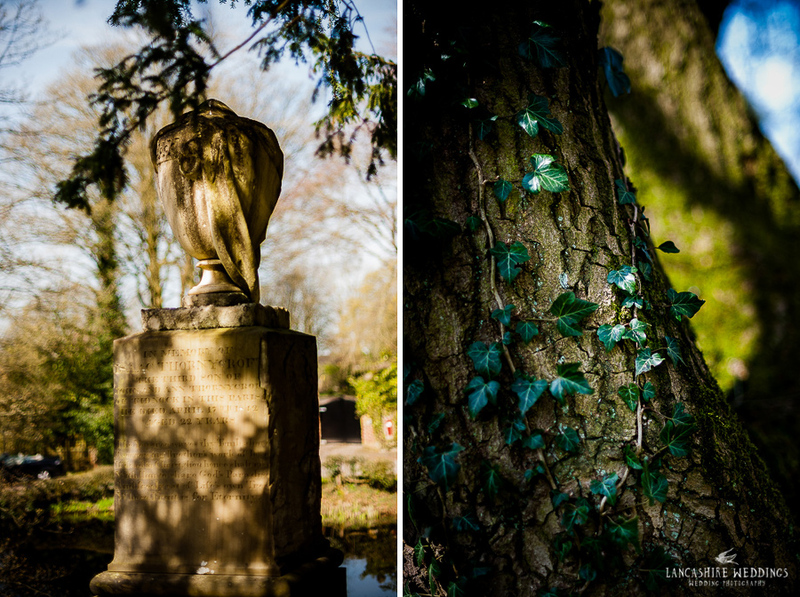 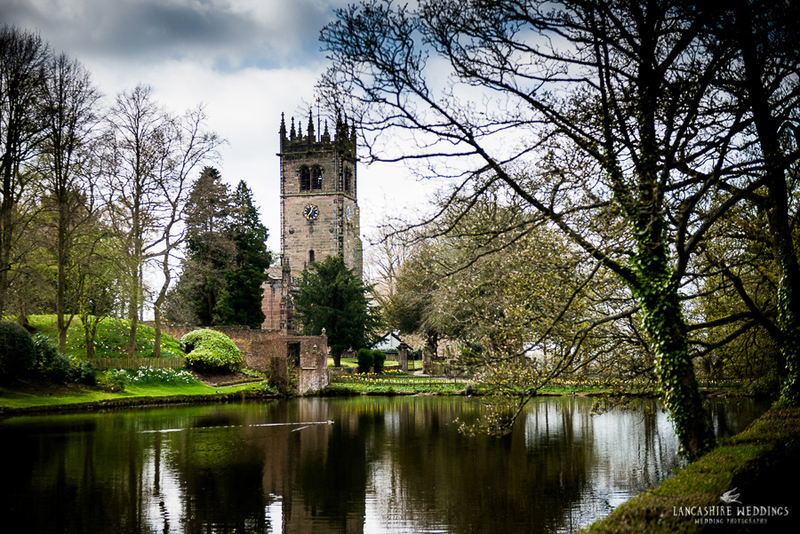 This was my first visit to Gawsworth - a stunning grade 1 listed building with over 500 years of history. 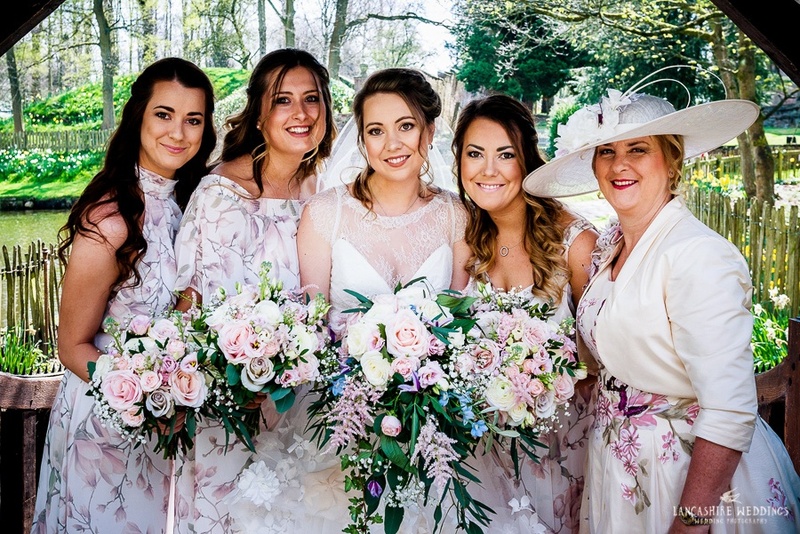 I first met Sarah and her amazing family when she was her sisters bridesmaid a few years ago in Malta. 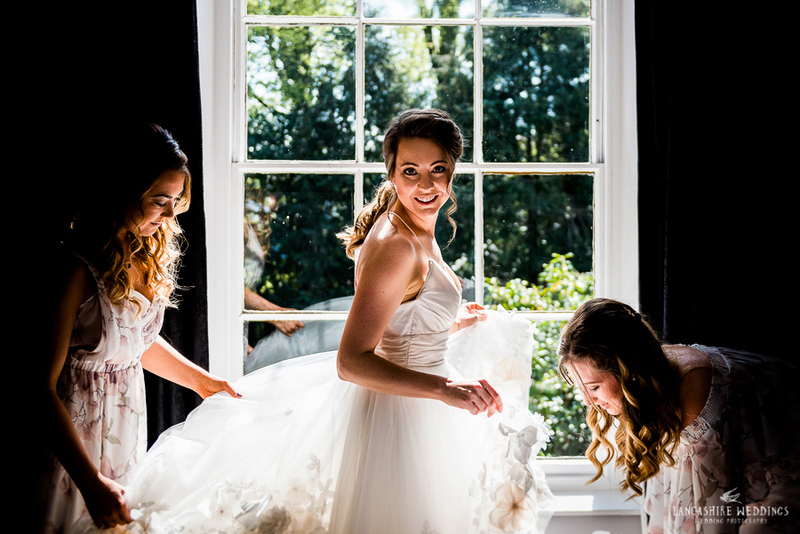 It was all very relaxed and chilled in the morning when I arrived with Sarah and her maids getting ready. 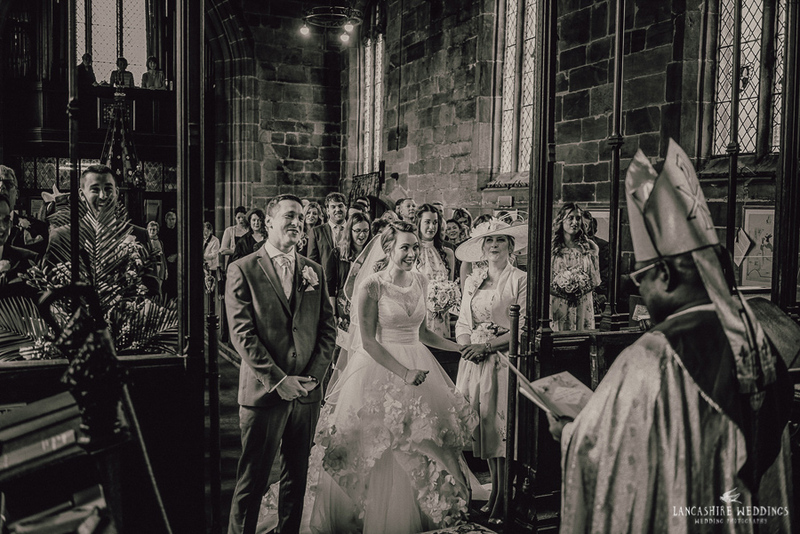 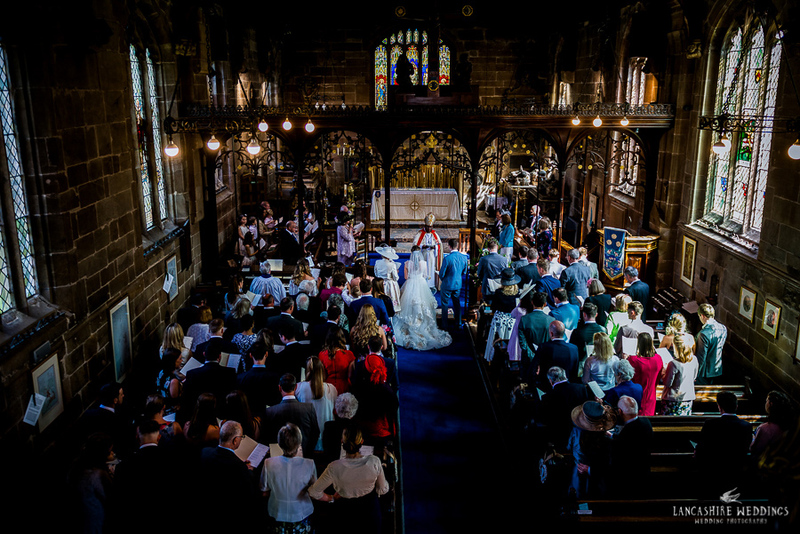 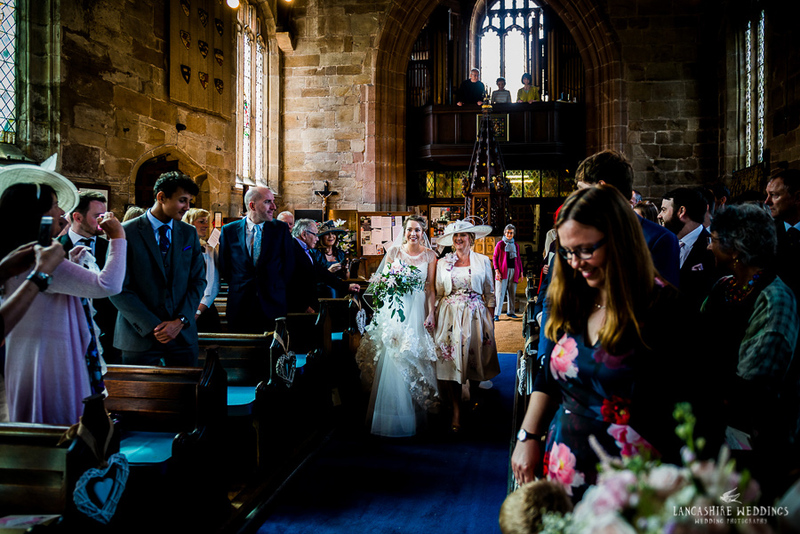 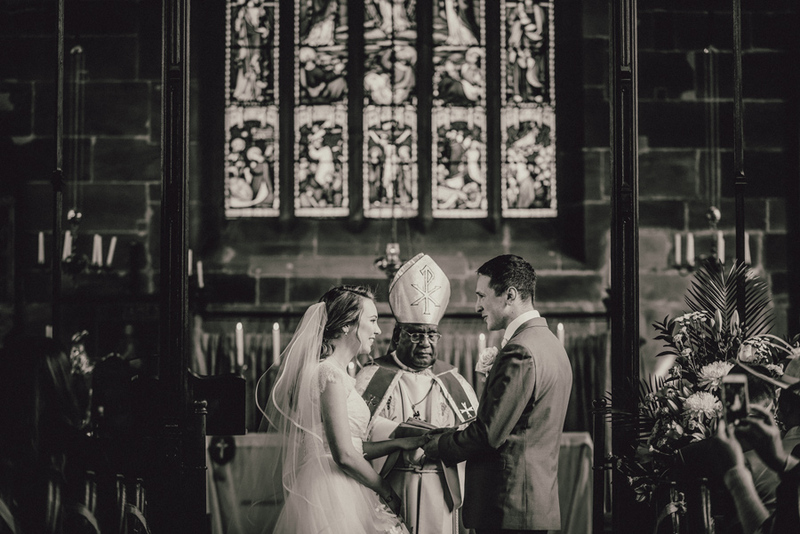 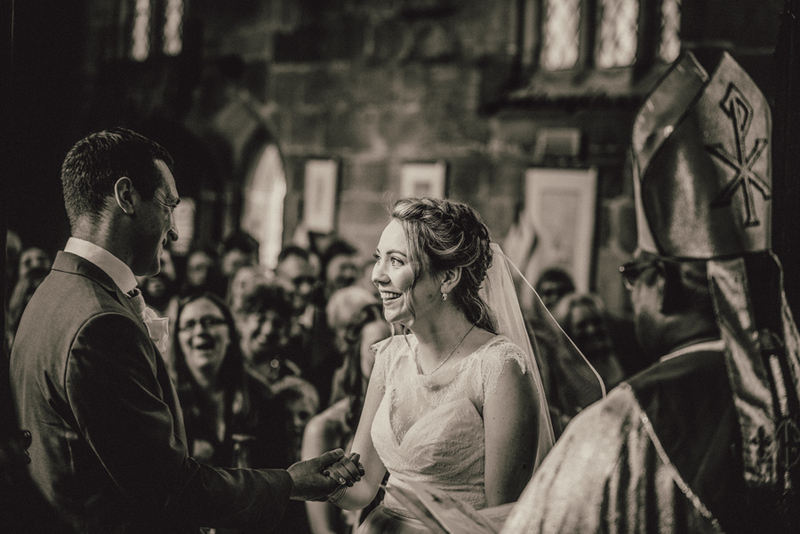 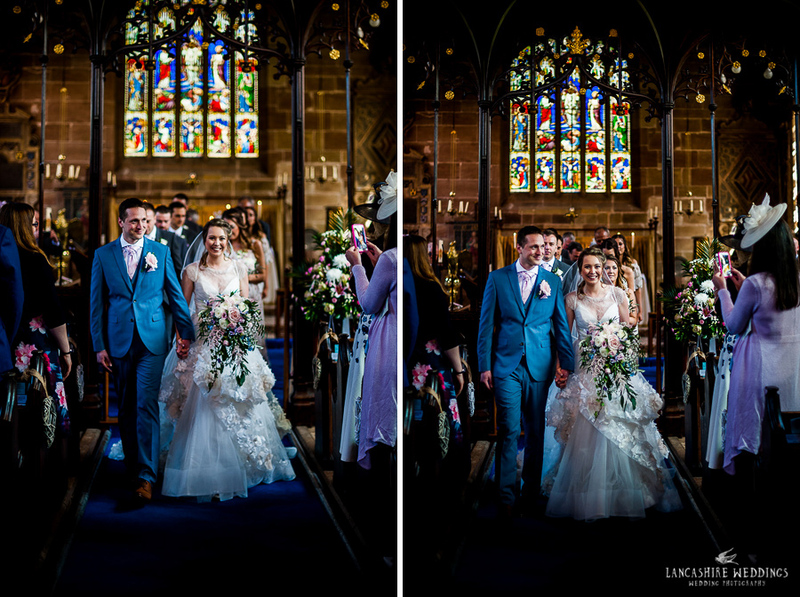 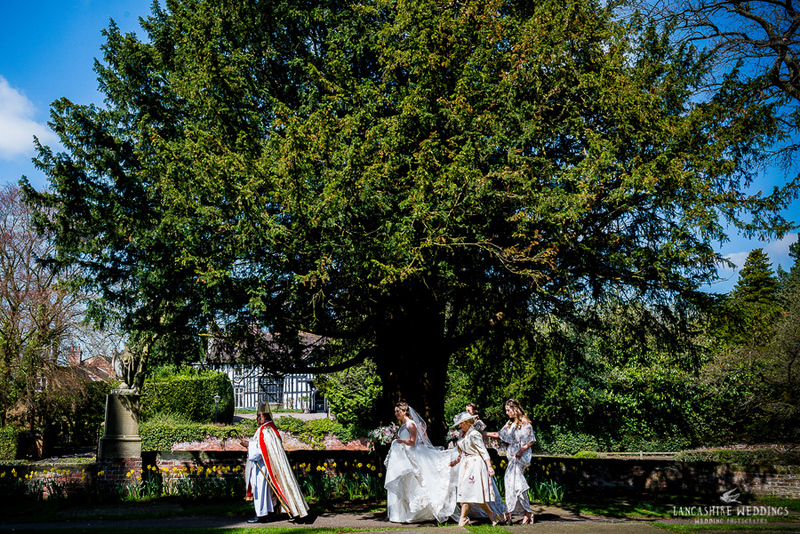 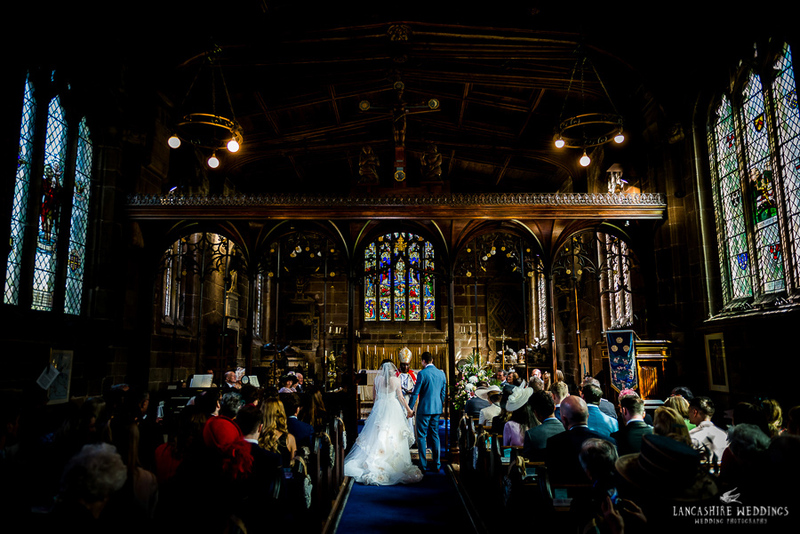 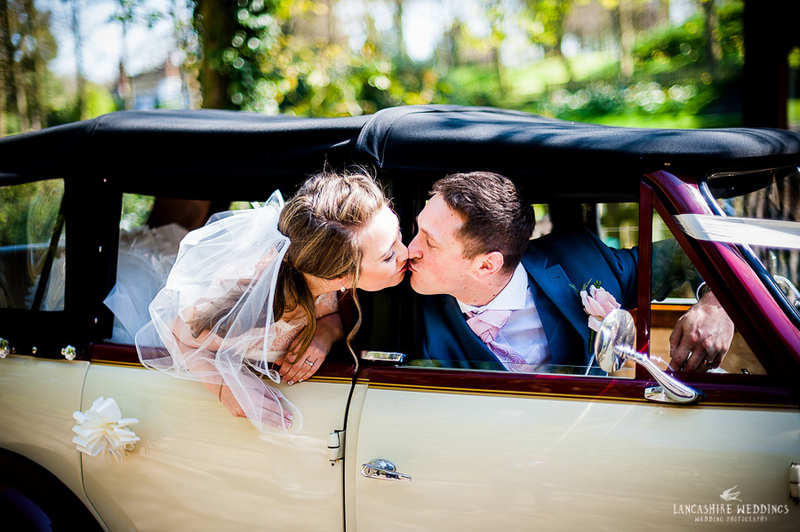 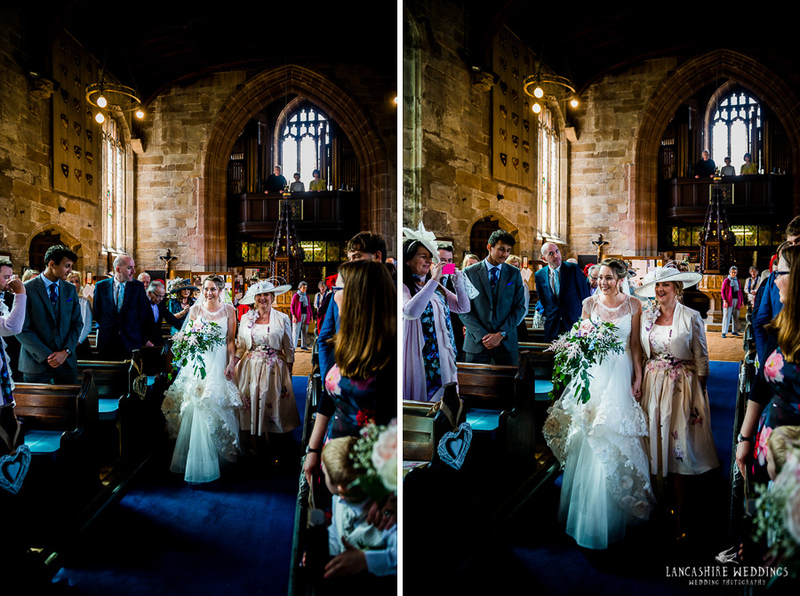 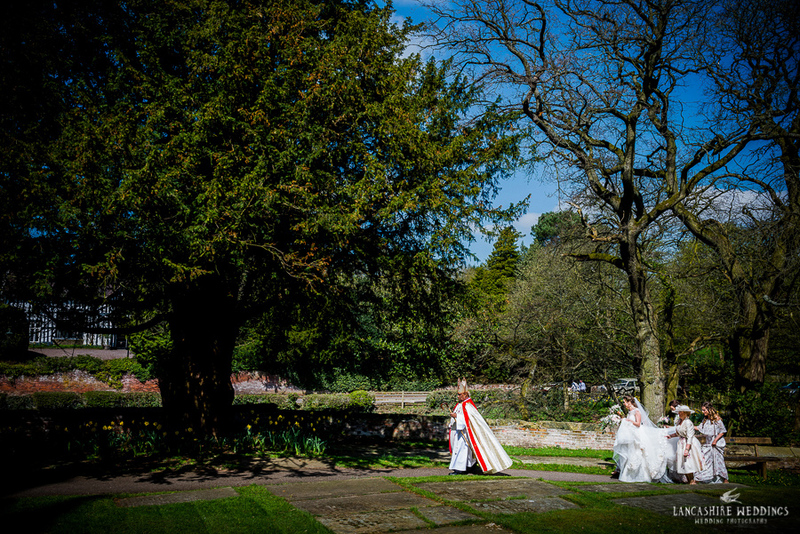 The church was a good 20 minutes away, so they had arranged beautiful vintage cars to make the journey - it felt like we had travelled back in time as we arrived at the picturesque village of Gawsworth. 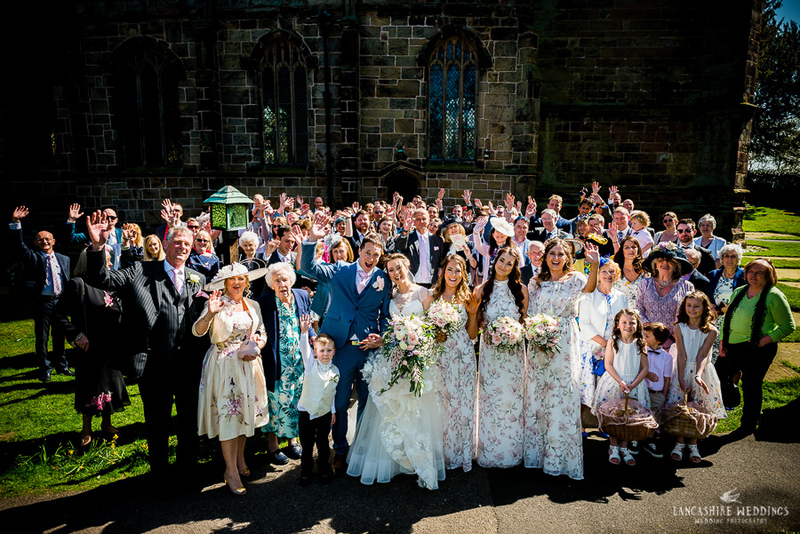 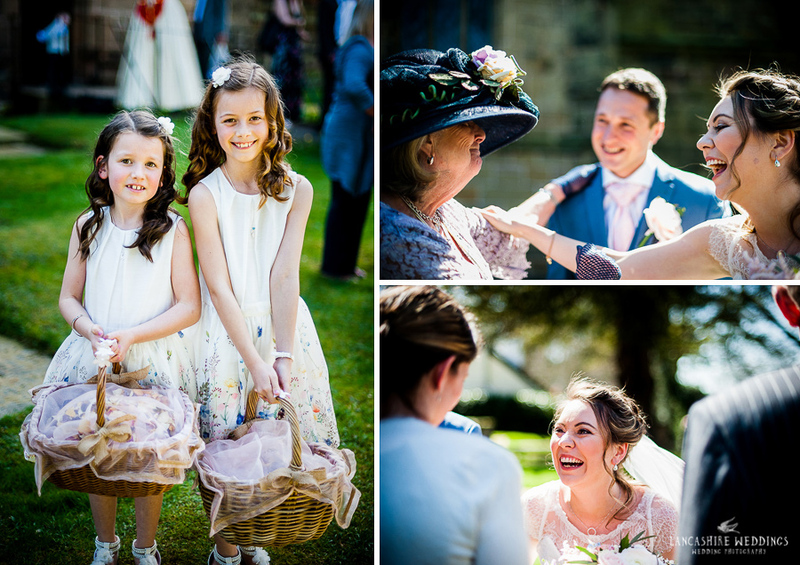 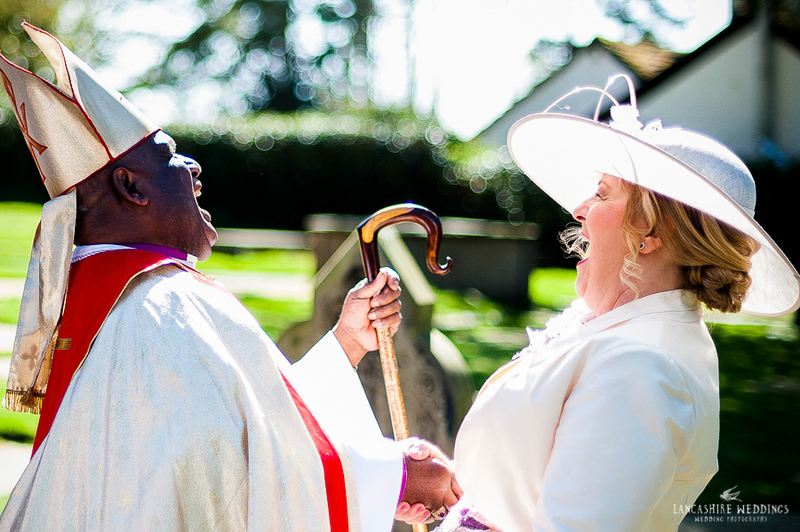 After a warm ceremony full of laughter and love, the congregation emerged into a lovey warm sunny afternoon. 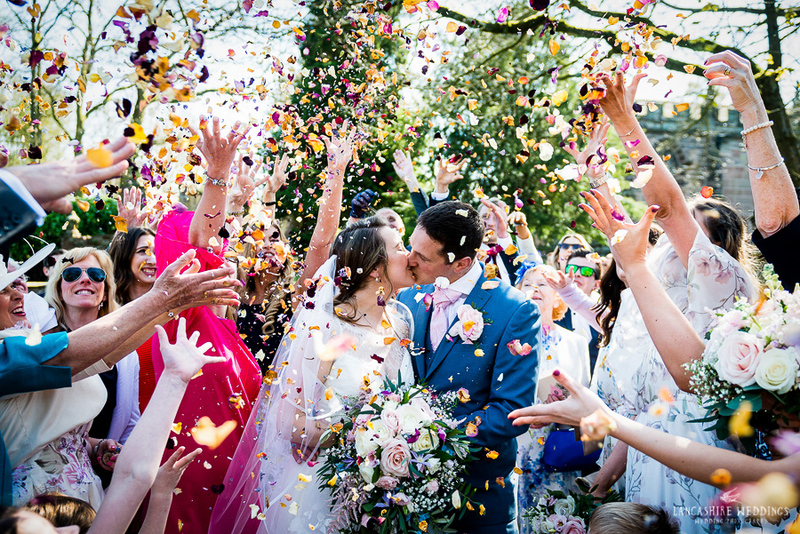 After a quick group photo and a brilliant confetti shot, the happy couple and their guests embarked enroute for a champagne reception along the rolling country roads. 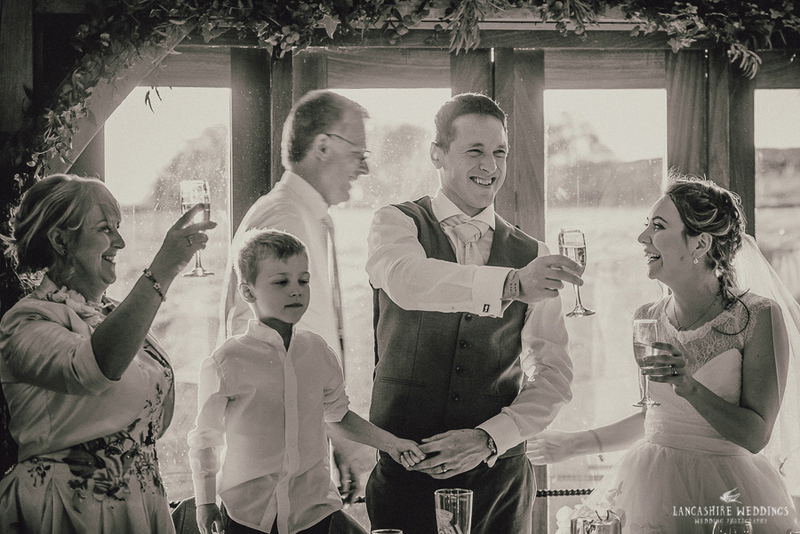 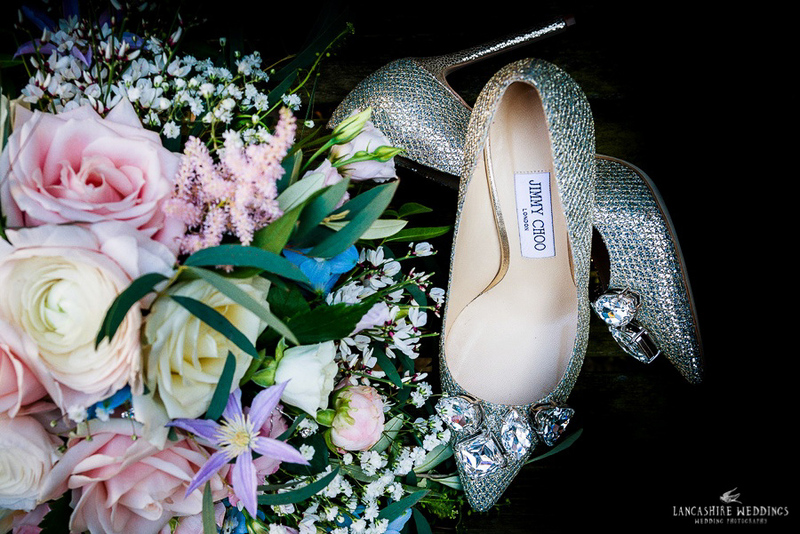 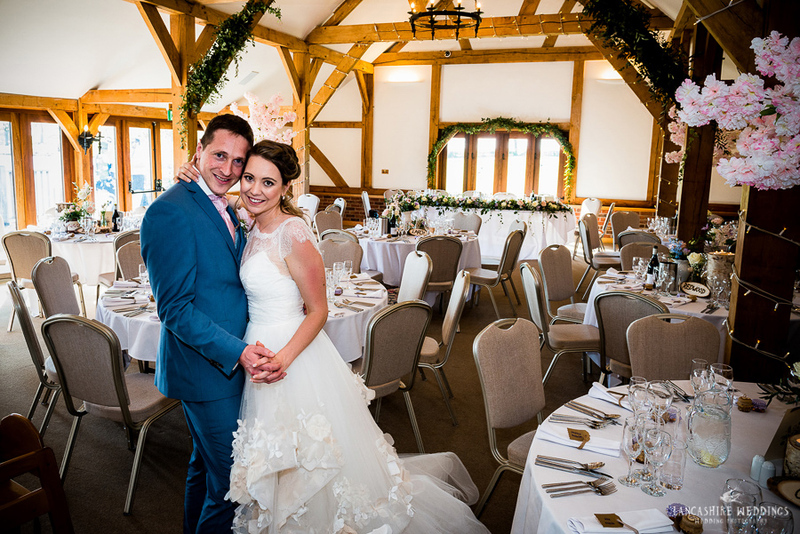 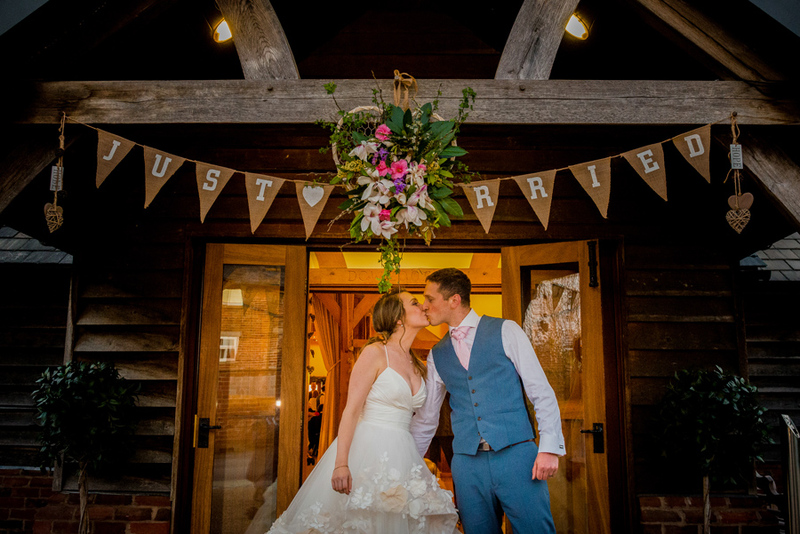 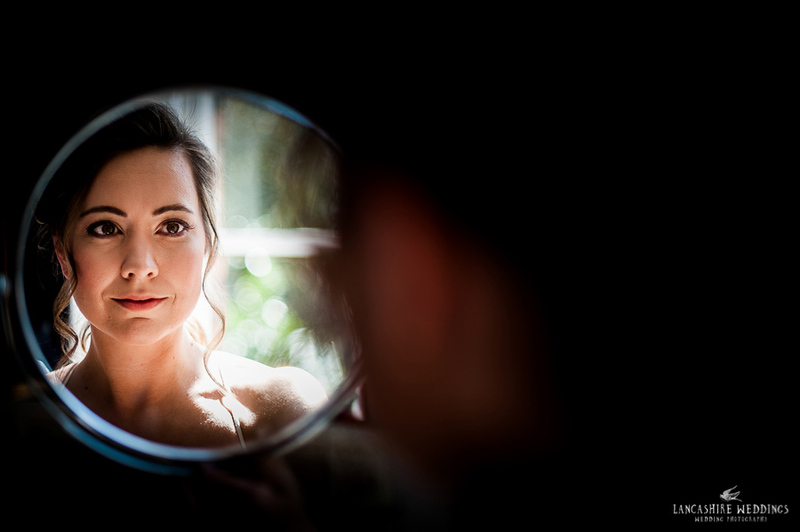 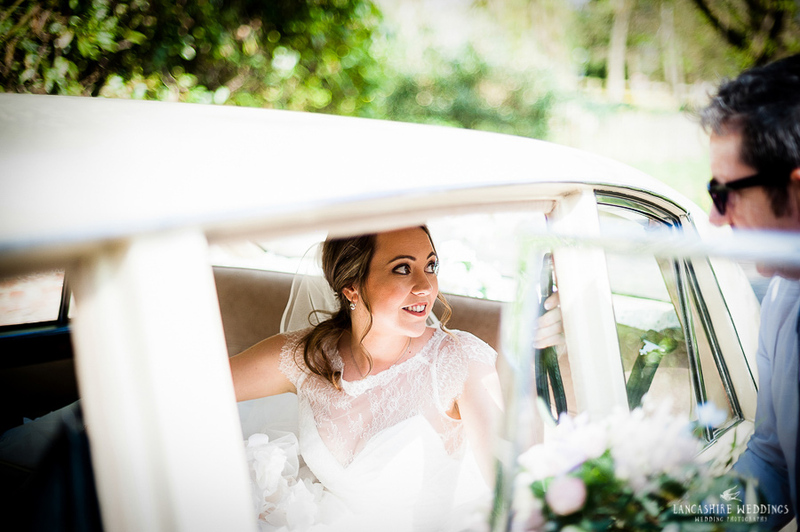 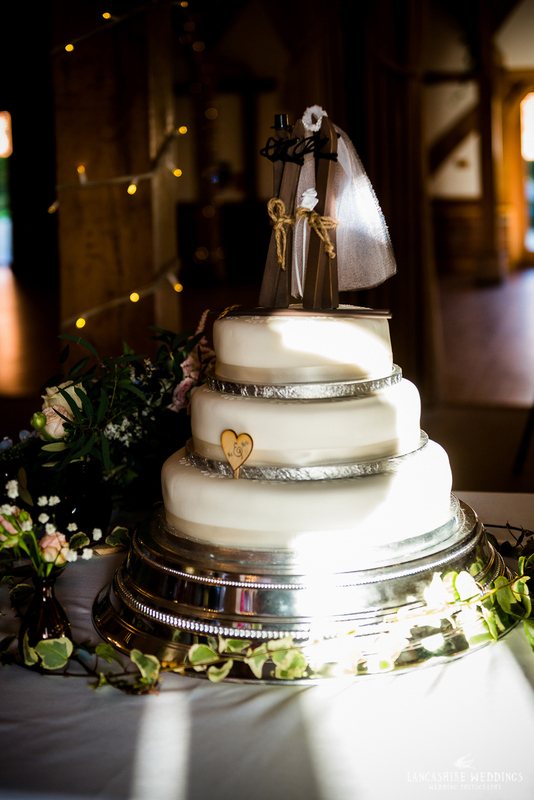 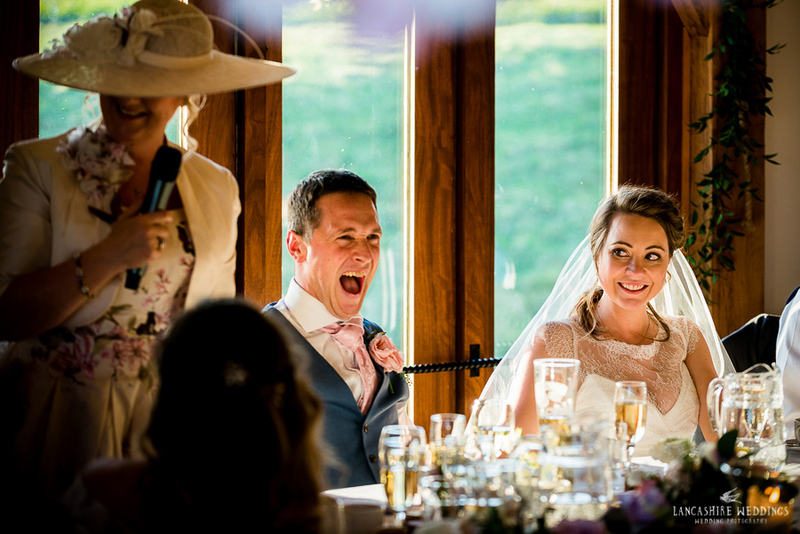 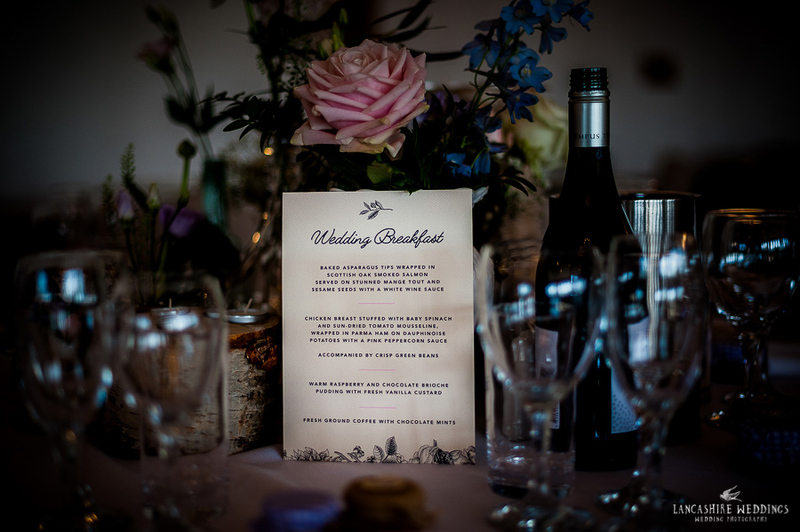 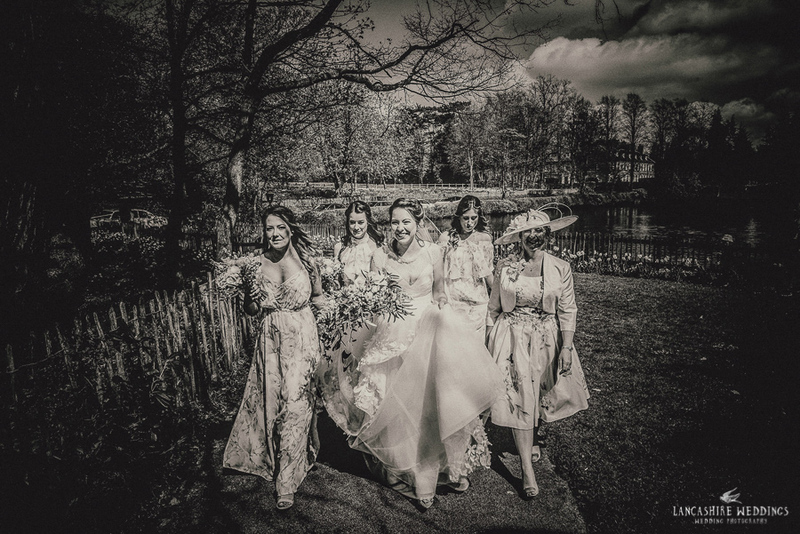 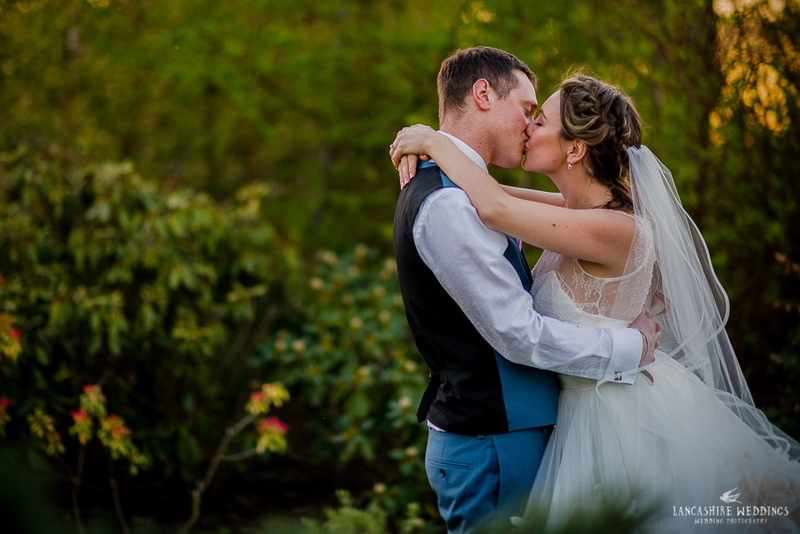 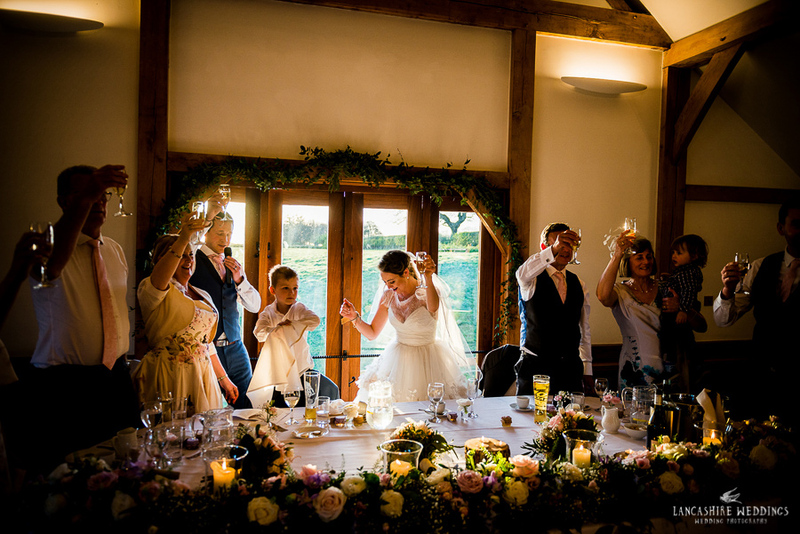 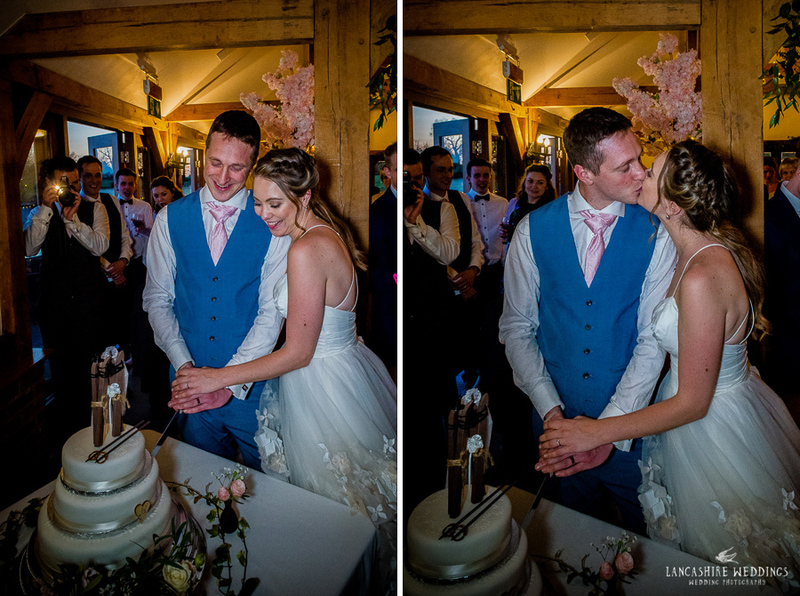 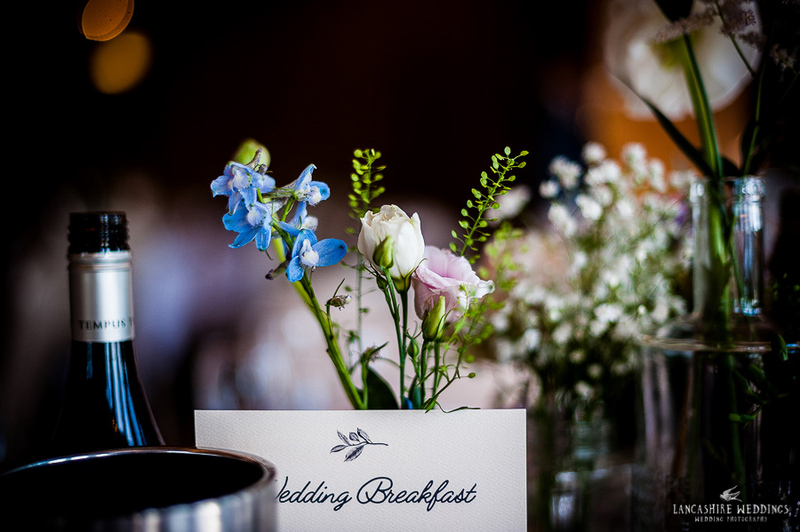 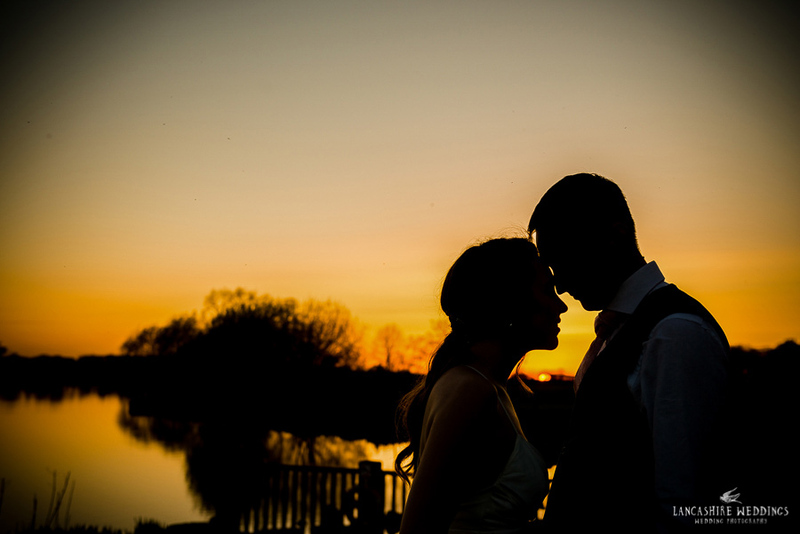 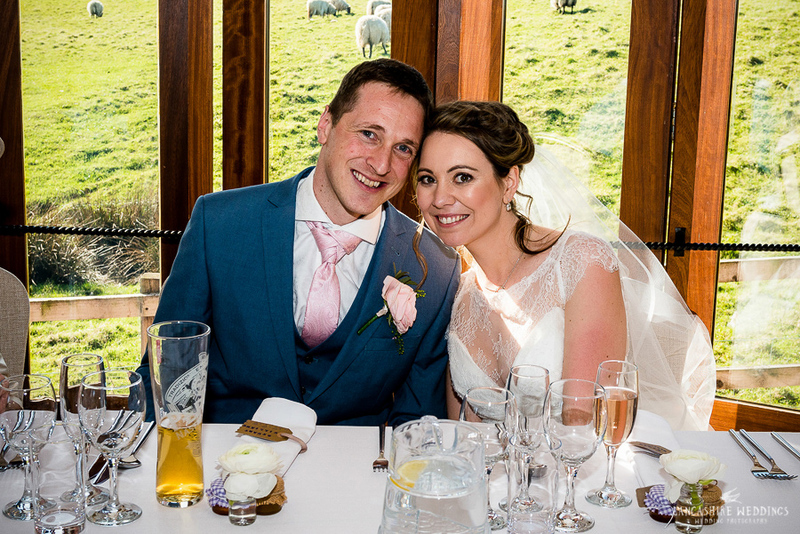 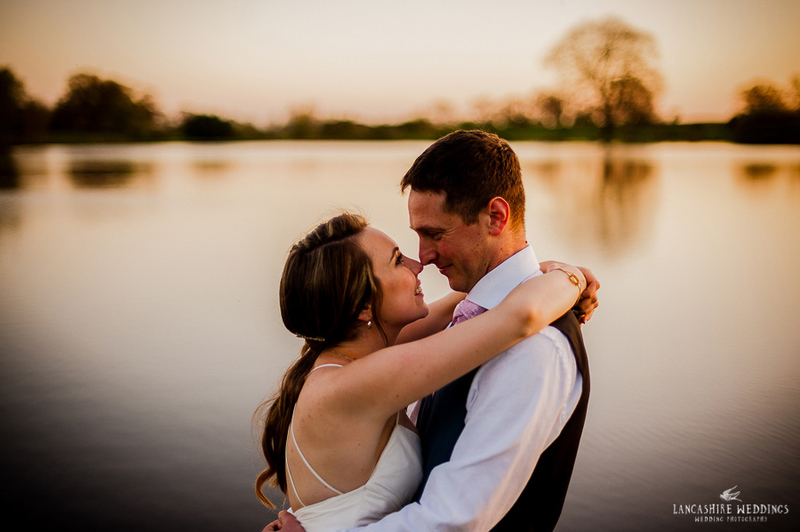 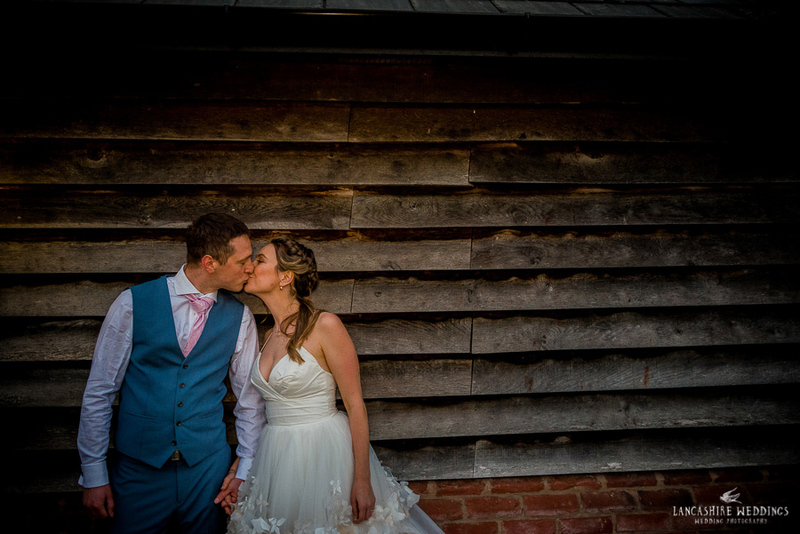 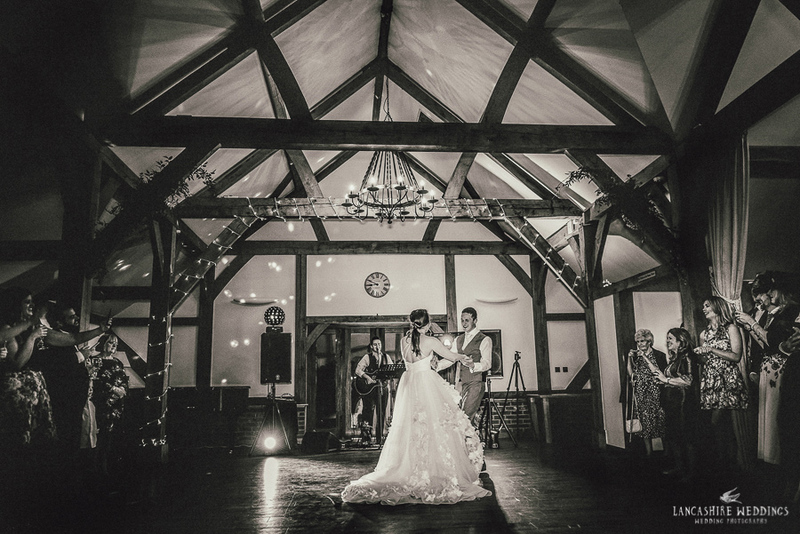 The bride and groom arrived to music, champagne and canapé's and sunshine and the stunning Sandhole Oak Barn venue, which is set in rolling countryside on the edge of a beautiful lake. 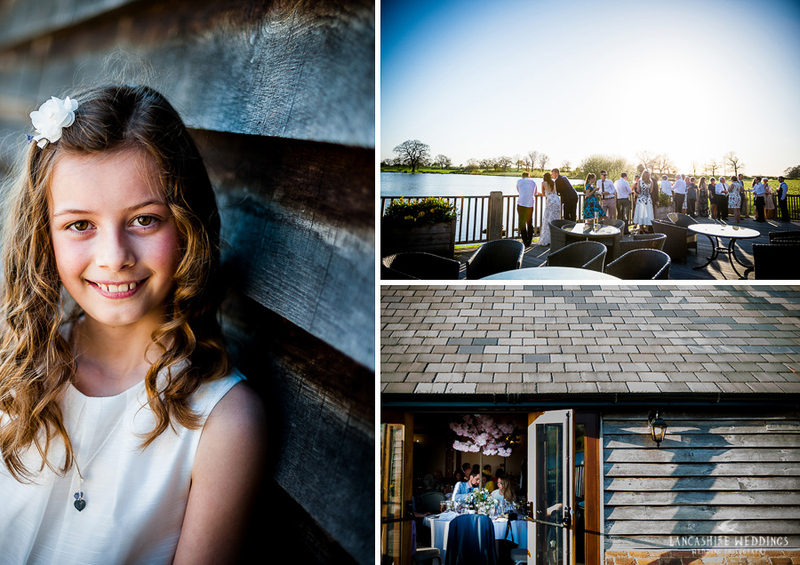 A perfect opportunity to mingle with the guests and capture them enjoying the atmosphere whilst taking in the views. 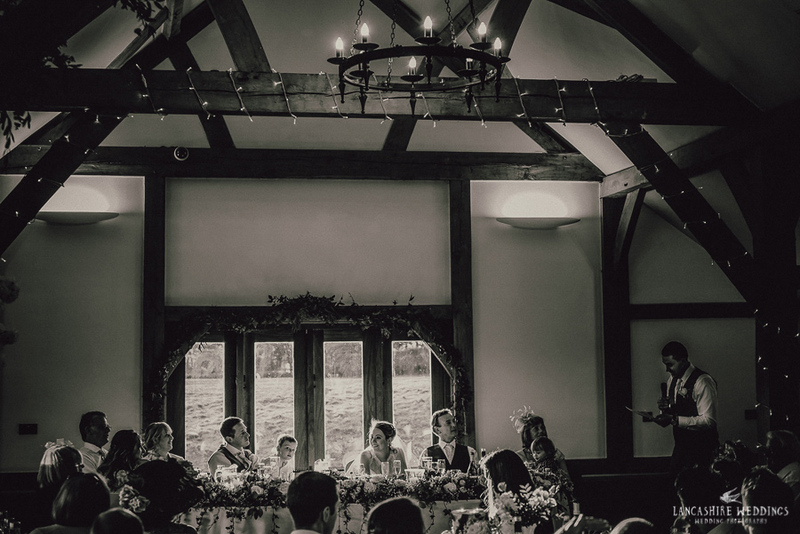 The wedding breakfast was served inside the barn with lovely warm light flooding in through the full length windows. 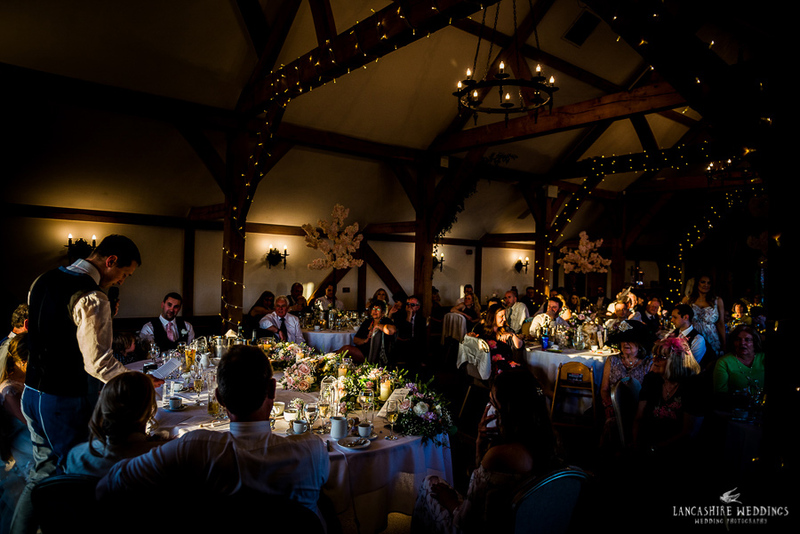 Speeches were made after the meal when the sun was low, giving the room a wonderful glow. 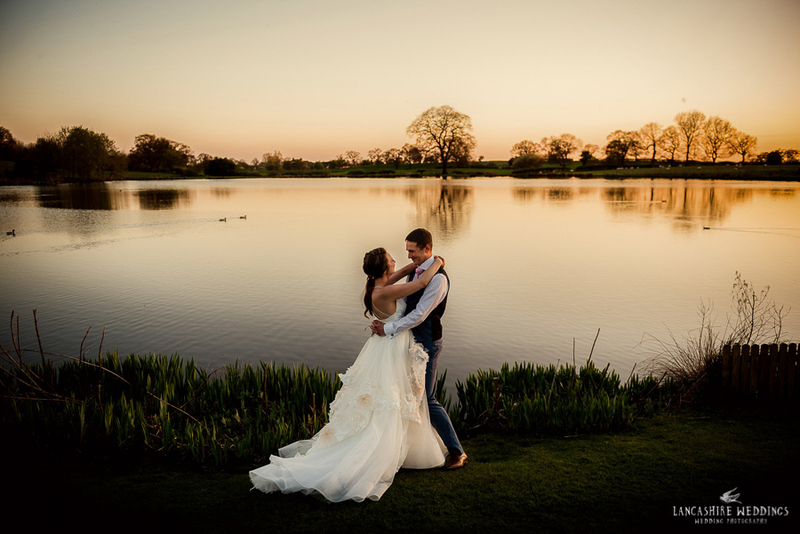 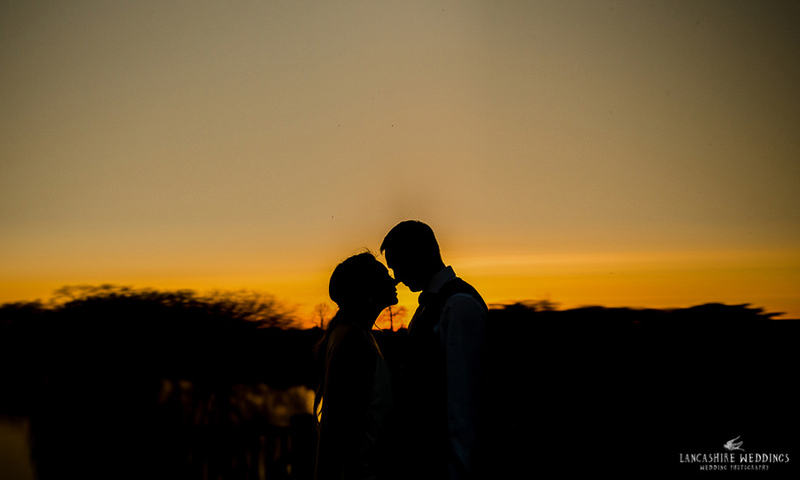 A perfect evening followed with guests enjoying the views across the lake, whilst Sarah and Stuart took a short walk in the grounds as the setting sun gave us magical light for a few photographs as the music was set up to get the evening started. 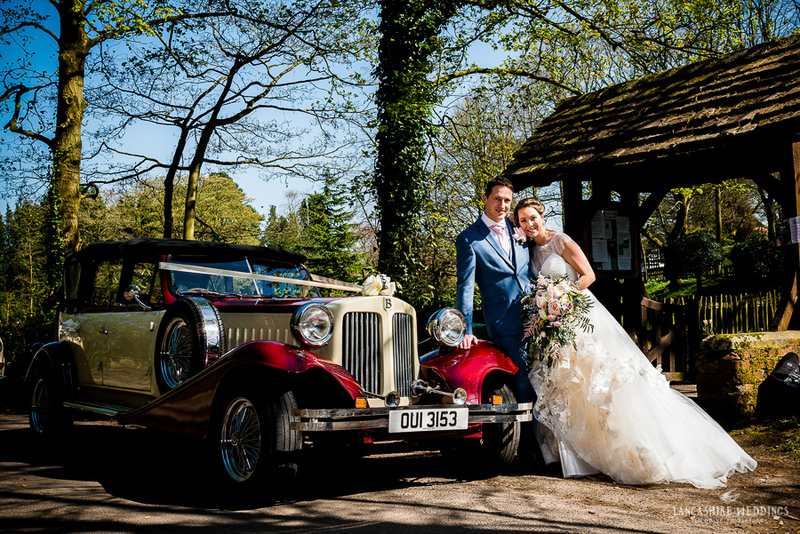 Nice to meet Beth O'Callaghan who did the girls hair and to Heritage Cars for getting to the Gawsworth Church in style. 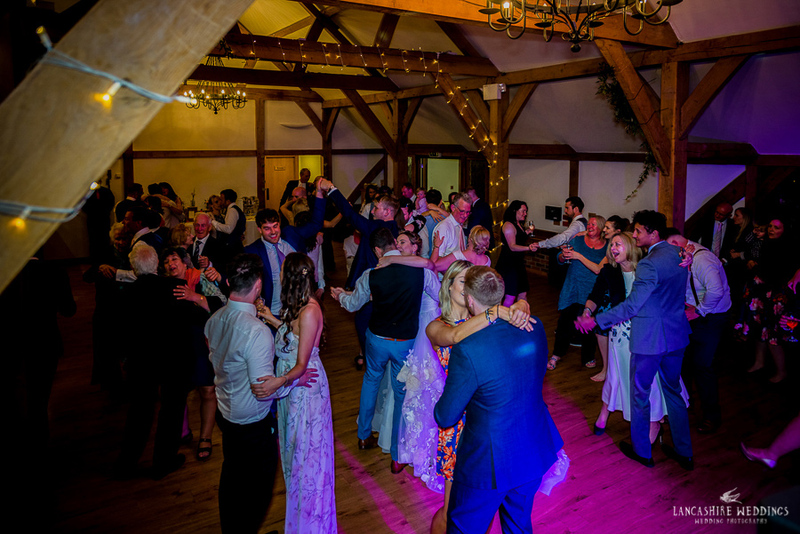 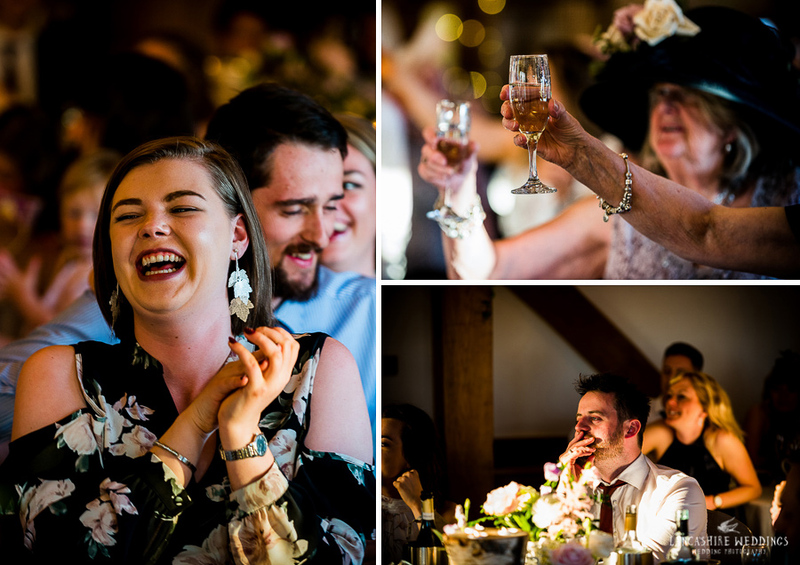 So there you have it - as far as weddings go at Sandhole Oak Barn go, i'm sure you will agree, Sarah and Stuart pulled off something really special. 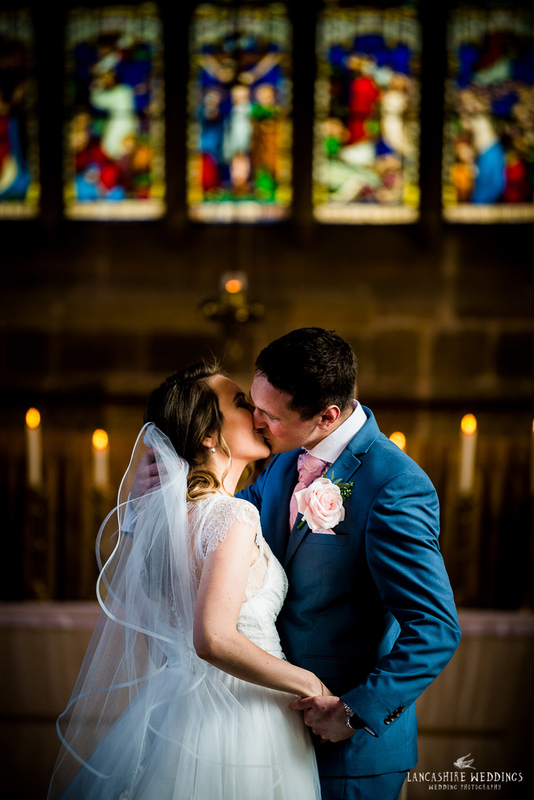 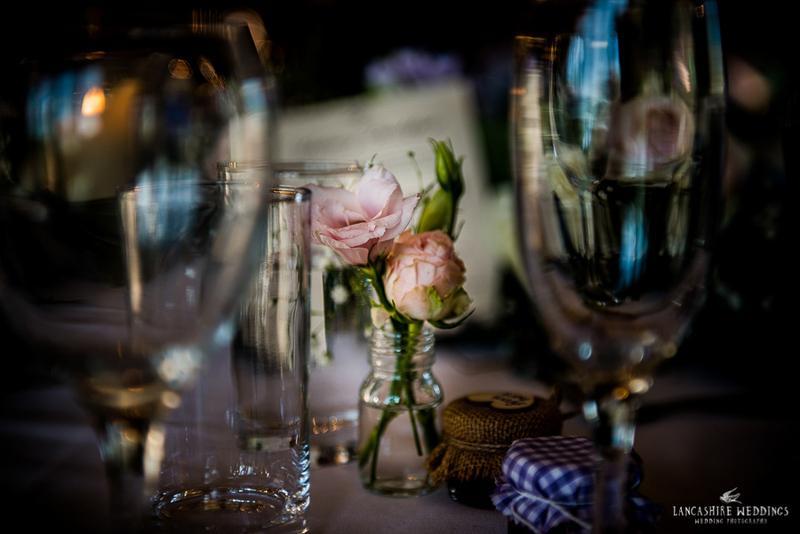 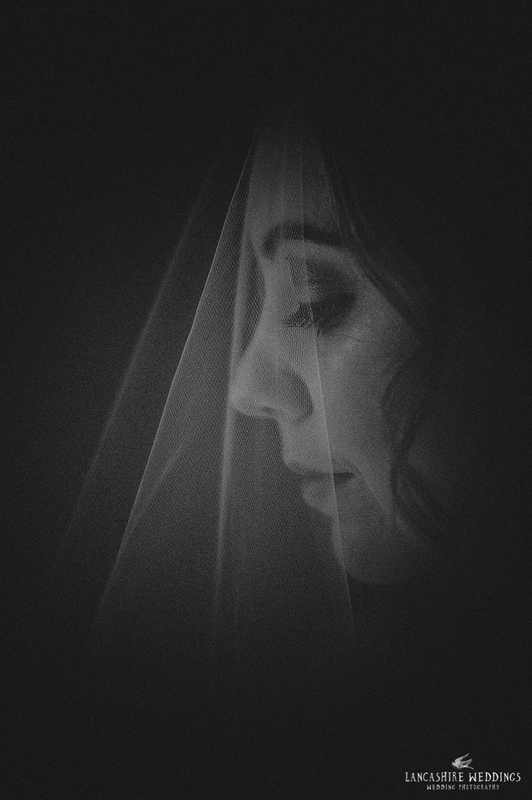 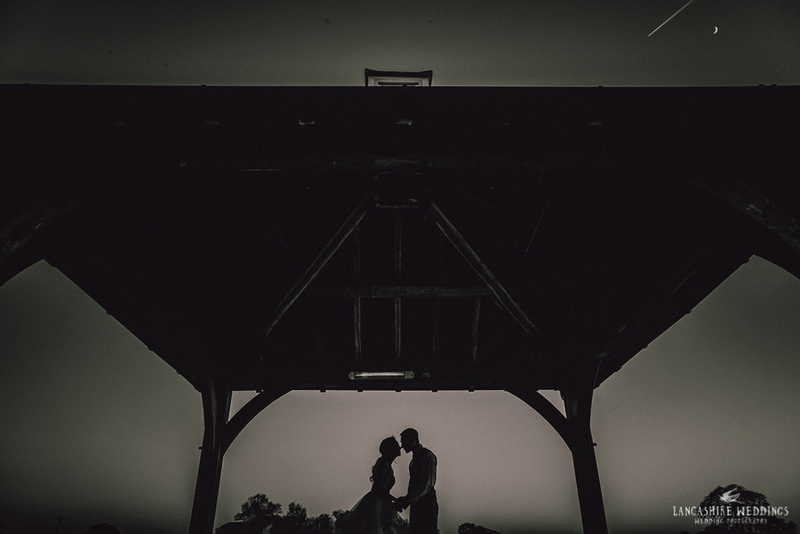 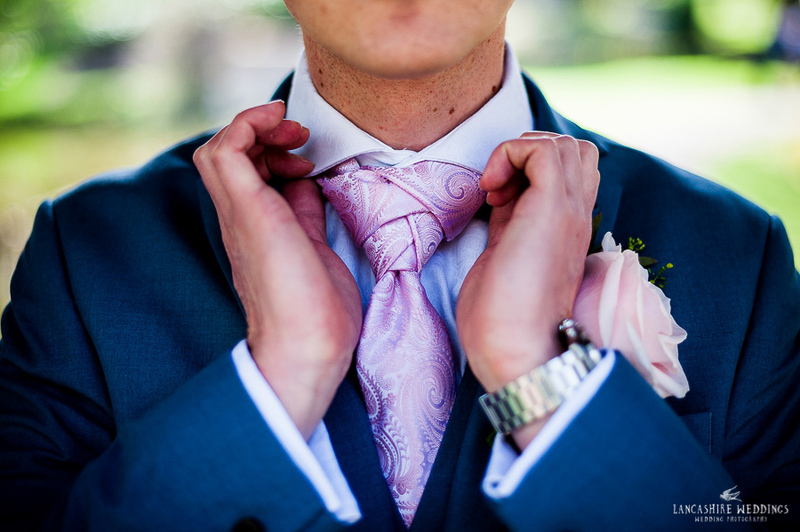 Ryan Stewart - Stunning Neil, cannot wait for our wedding with you!